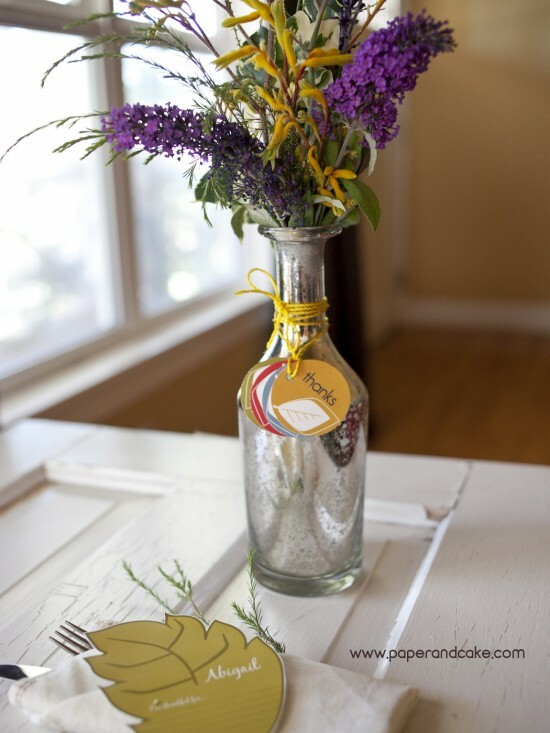 This Fall Leaf Free Printable Place Card will easily add that personal touch your table setting. 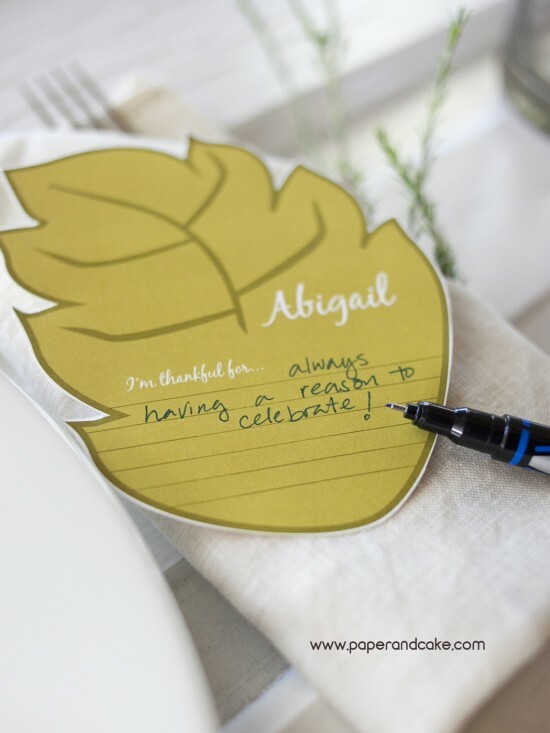 After downloading the file, just type in your guests names to each leaf, and cut them out! 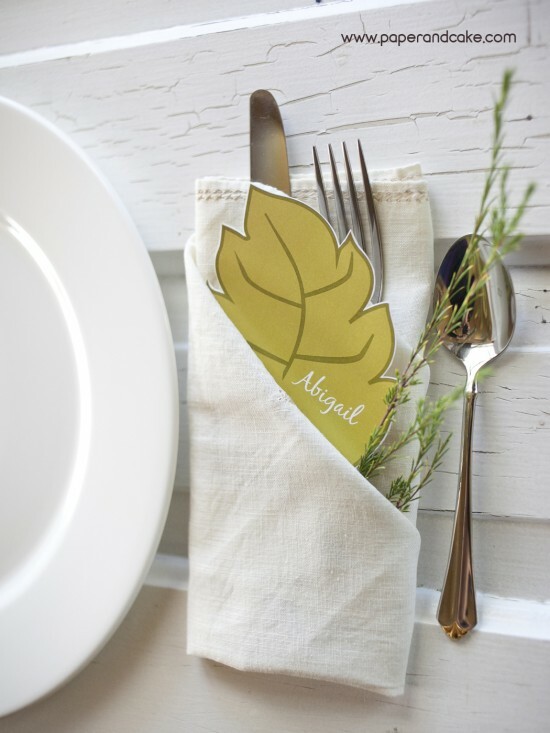 I folded the napkin into a two-fold French pleat, and then inserted the place card in one of the folds. The unique part about this card is it has a space on the bottom that allows for your guest to fill out what they are thankful for. Perhaps it can be a new tradition to share what everyone if thankful for during the dessert. This freebie goes perfectly with our modern fall printable set. For more tips on how to personalize your holiday, check out our tips on how to handle the mess that can be the holiday buffet party. We are so grateful for our fellow party throwers. Thank you! 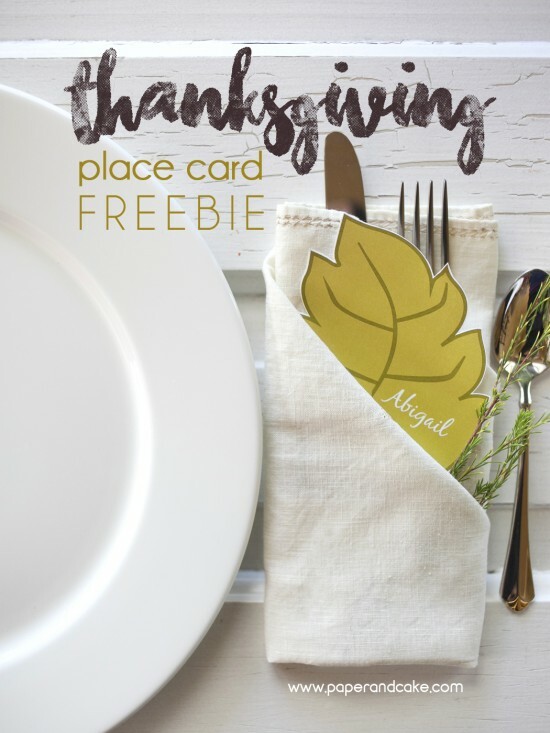 Use the form below to download our Thanksgiving place card freebie! Such a cute idea – thanks!